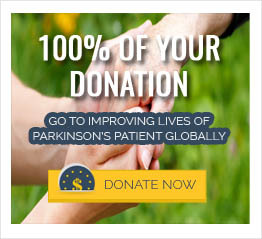 Can Botox be helpful in treating Parkinson’s disease? Botox is a commercial preparation of botulinum toxin that, when injected, blocks the release of acetylcholine at the neuromuscular junction and resulting in a paralysis lasting two to six months. Aside from its cosmetic appeal, it can eliminate spasmodic conditions like torticollis (wry neck), hemi-facial spasm, strabismus (spasms of the eye muscles), focal dystonia, spasmodic dysphonia (squeaky voice), writer’s cramp, etc. Botox can also be helpful to PD patients by relieving freezing of gait and—to some extent—excessive sweating.